Succeeding in an oversaturated market is challenging, but the right strategies can set your business apart from the competition. “You know what no one is making anymore? T-shirts!” said nobody ever. There is no better example of an oversaturated market then the t-shirt industry. The rise of Shopify and other ecommerce platforms have taken much of the technical work out of launching a t-shirt business, which has led to a gold rush of apparel startups. With so many t-shirt companies, t-shirt blogs, and t-shirt manufacturers vying for attention, finding an audience and converting them into customers requires creativity, commitment and adaptability. This holds true in any oversaturated market. Whether it be weight loss products, Young Adult (YA) fiction, or food trucks, the presence of so many competitors in one industry demands newcomers work even harder to make their mark. But just because a market is oversaturated does not mean it’s a dead end. If you’re thinking about starting a business in an oversaturated market, there is hope for you yet, and the following strategies will help you cut through the noise. If you’ve heard of the word market, then you’ve probably heard of the word niche. A niche is a specialized market which typically attracts a specific group of people. The action movie genre is not a niche, but action movies that exclusively take place on icebergs? When it comes to penetrating an oversaturated market, a good niche helps even the playing field. Now you’re not competing with every t-shirt business, you’re just competing with every t-shirt business in your niche. Lazazzera’s niche was hyperlocal, one of an endless number of niches to use as a jumping off point. 80sTees, for example, appeals to a specific time period rather than a specific location, and focuses on nostalgic tributes to 80s youth culture. Their niche is clearly defined, but offers just enough wiggle room to empower a neverending stream of content. It also caters to a large, but very precise audience: 80s kids. Success looks kindly upon businesses that can solve a problem. This light helps you read at night. This dust pan relieves you from the burden of bending down to sweep up dust. Now let’s imagine a world where sippy cup businesses are as popular t-shirt businesses, and you’ve just decided to enter the sippy cup market. The original consumer problem (clumsy babies spilling drinks) has been solved years ago, so there isn’t much room to innovate on that front. But there are certainly improvements to be made within the sippy cup industry itself. For example, perhaps the majority of sippy cups are poorly made, or constructed with low quality materials. Maybe there is an acute lack of eco-friendly sippy cups. Maybe an alarming number of sippy cups become self-aware after coming in contact with apple juice and pose a threat to children. What if an unacceptable number of sippy cup companies have amateurishly designed websites, confusing checkout systems or poor customer service? Has there been a recent public backlash against sippy cup companies who don’t donate enough of their proceeds to charity? No industry is perfect, which is why you should always be thinking about improvements. Do what your competitors are doing, but better. Find out what customers are complaining about, and fix it. If you keep digging, you’re bound to find something to advance within your industry. No matter how saturated the market, consumer demand is never stagnant, and keeping your finger on the pulse of the industry keeps you relevant and poises you for success. Not only is the t-shirt industry oversaturated, it’s subject to rapidly evolving trends. But hey, that’s fashion for you. Trend-savvy t-shirt entrepreneurs are tapped into the hottest graphics and styles, and if you asked them to name two hot trends in the tee biz, they might tell you that pop culture mashups and sublimation (all-over printing) are currently in high demand. But just possessing this information is not enough. Smart businesses act on these trends, and update their inventory accordingly. Trends are opportunities, and what good are opportunities if you don’t capitalize on them? Industry trends are of equal importance. For instance, Lazazzera, decided to build his store on Shopify and print his shirts using the Printful app. The app is a relatively recent innovation which seamlessly integrates the on-demand t-shirt printing company into the Shopify e-store. This decision simplified Lazazzera’s production process and made it possible for him to launch his store within such an ambitious timeframe. It’s not always necessary for businesses in oversaturated markets to integrate the latest app or exploit the latest technology, but it is important to understand how these trends are affecting the industry. As the Printful app grows in popularity, it isn’t difficult to imagine that more and more consumers will anticipate a Printful-like shopping experience, and if your t-shirt business can’t offer the same type of ease and convenience, it will lose its edge. 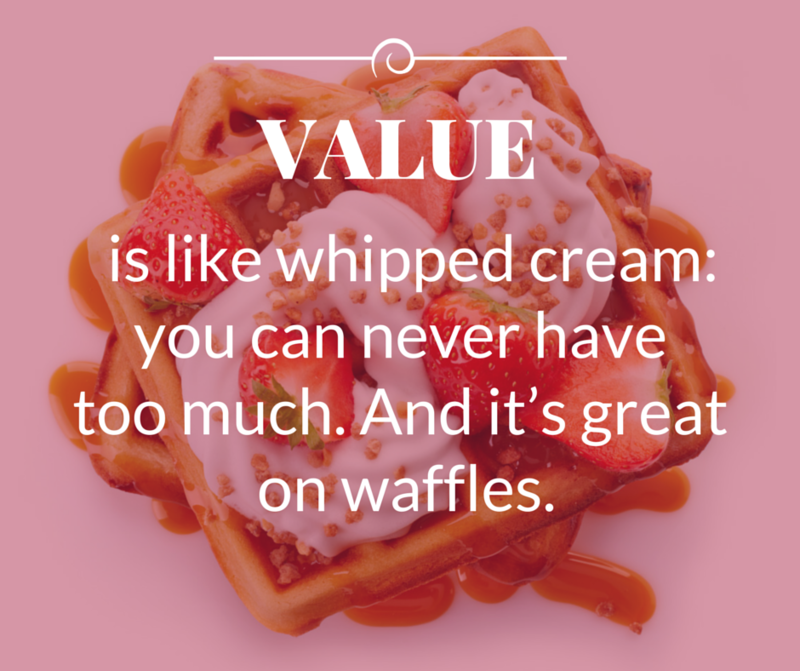 Value is like whipped cream: you can never have too much. And it’s great on waffles. Offering incentives and value-added services is another smart strategy to consider when preparing to enter an oversaturated market. Out of the thousands of t-shirt businesses, how many offer frequent buyer programs? Reward levels? Dedicated personnel? Not only does adding value attract a larger audience, it strengthens customer retention, which leads to long term growth. Frequent buyer programs, for instance, persuade customers to stay involved by offering them perks for their loyalty. Reward levels encourage further purchases. Bundles save shoppers money. It doesn’t matter if you’re in the t-shirt business, the sippy cup business, or the doggie roller-skate business, customers respond to value. 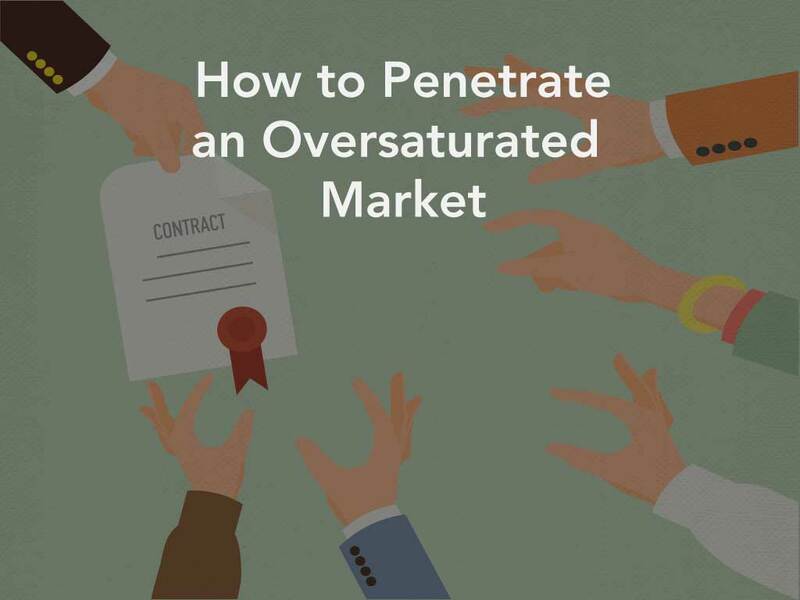 Penetrating an oversaturated market poses its own unique set of challenges and rewards. By staying focused, staying relevant, and always looking for ways to improve will give you a competitive advantage. 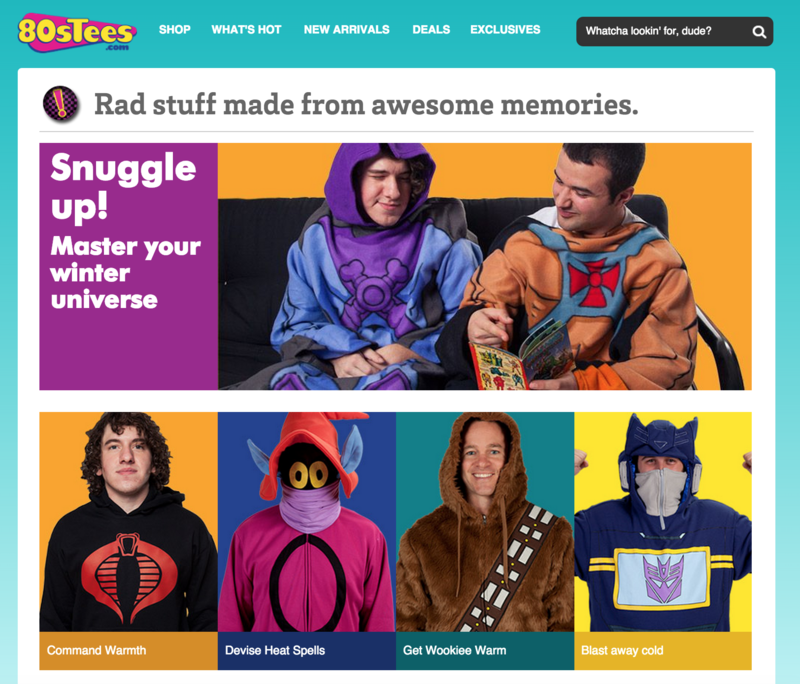 There is never a shortage of trends to jump on or niches to carve, and legend has it that when you incorporate all four of the above-mentioned strategies, an angel gets its wings, and subsequently starts a wing-friendly t-shirt business. 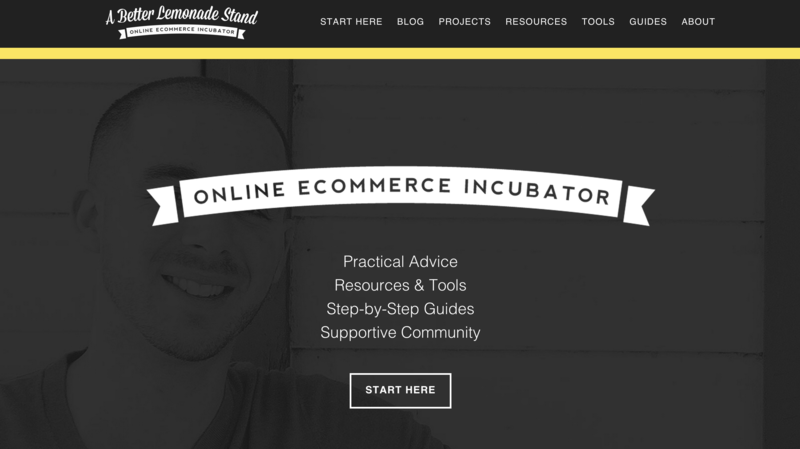 How do you succeed in an oversaturated market? Tell us in the comments below.